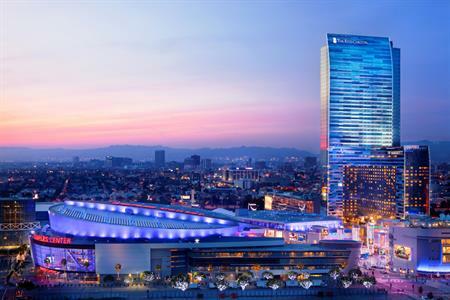 C&IT has announced JW Marriott Los Angeles LA LIVE as the host venue for the meetLA Forum Fam event, taking place on 10-15 March 2016. The five-day event, open to senior client and agency buyers, will combine one-to-one supplier meetings with inspiring content sessions and visits to LA’s key venues and attractions. Heather Allison, director of sales and marketing at The Ritz-Carlton and JW Marriott Los Angeles LA LIVE said: "As host hotel for the meetL.A. UK Forum Fam, we are thrilled to showcase the momentum of downtown Los Angeles’ dynamic revitalisation. This is an exciting time for the city, which offers so much in terms of entertainment, culture and culinary within steps of our doors." The hosted-buyer event includes flights from C&IT's airline partner Virgin Atlantic, accommodation, access to all content sessions and the opportunity to explore LA’s event infrastructure and meet key suppliers. Bryan Churchill, vice president, Hotel Sales at Los Angeles Tourism & Convention Board, commented: "This incredibly unique and functional format allows us and our most valued partner suppliers to showcase our fantastic destination and services to top qualified UK buyers in a productive and educational exchange. "Combining the forum and familiarisation trip components allows us to create an immersive and intensive destination experience that is compelling enough to demonstrate why our city is such a fabulous option for UK planners."